Due to some technical issues the NSE has decided to extend their deadline till 7 April. So if you would still like to help FASoS and have a chance to win one of the prizes please fill in the NSE. You all received an invitation email to participate on your UM email address. The results from the survey will be analysed thoroughly by FASoS and will be discussed in the management teams. This way FASoS can keep on improving their study programmes. As a participant you will have a chance to win a travel voucher of €2,000 or one of the 500 Ticketmaster gift cards. 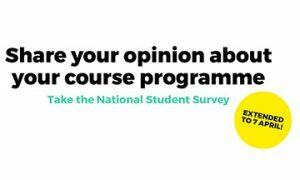 The NSE (Nationale Studenten Enquête) is an annual nationwide survey in which more than 250,000 students give their opinion about their study programme. The results of the NSE will also provide (prospective) students with valuable insights into other students’ assessments of their course programmes via the Studiekeuze123.nl website and other channels.